Esteemed journalism education colleague Emeritus Professor Dhavalasri Shelton Abeywickreme Gunaratne died in Minnesota on March 8. Many journalism educators knew Shelton through his active membership of the (then) Journalism Education Association during and after his term at Central Queensland University from 1976-1985, where he had been the founding lecturer in journalism at what was then known as the Capricornia Institute of Advanced Education (CIAE). He was later appointed professor of mass communications at Minnesota State University Moorhead. I am particularly indebted to Shelton for his mentorship on the relationship between journalism and Buddhist ethics and phenomenology, which he introduced to the literature with The Dao of the Press : A Humanocentric Theory (Hampton Press, 2005) – a deeply theoretical and cerebral exploration of the inter-connectedness of all things, modelling the media’s role in that process. He kindly invited me to co-edit (with his former PhD student Sugath Senarath) our book Mindful Journalism and News Ethics in the Digital Era: A Buddhist Approach (Routledge, 2015). That project continues, and I acknowledge his input into my work as my mentor and friend. I spoke on the phone with his widow Yoke-Sim who had loyally nursed him through the final stages of Parkinson’s Disease. She reported that Shelton was sharp to the very end. Shelton believed strongly in the ripple effect of one’s actions upon others, and I know his intellectual outputs will have a lasting impact upon journalism and mass communication scholarship, educators and students. For the information of US colleagues, a memorial service has been organized for March 15 (Friday) at Minnesota State University Moorhead, Comstock Memorial Union 205 between 6-8 p.m. An almsgiving (dania) will be held at the Gunaratne residence (3215 Village Green Drive, Moorhead, MN 56560) on March 16. RIP Shelton, and thanks for your legacy. Disclaimer: While I write about media law and ethics, nothing here should be construed as legal advice. I am an academic, not a lawyer. My only advice is that you consult a lawyer before taking any legal risks. 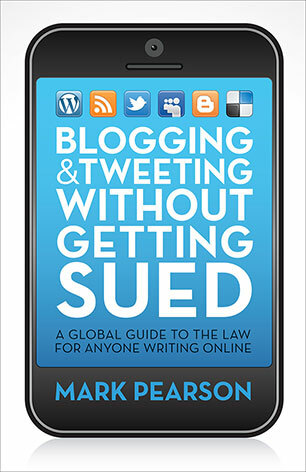 © Mark Pearson 2019 – the moral right of the author has been asserted. Our article on the potential applications for mindfulness-based meditation in journalism has now been published in the top-ranked international academic journal Journalism. The publication is the fruit of more than two years of project collaboration with my colleagues from Griffith University (Professor Analise O’Donovan) and the Dart Centre Asia Pacific (Dr Cait McMahon OAM). Co-author Dustin O’Shannessy provided valuable research assistance and co-authorship. Mindfulness-based meditation has earned its place in a variety of settings after studies reporting the benefits of mindfulness-based interventions for the treatment of a range of psychological and health disorders and for building resilience and well-being in a variety of occupational groups. In the field of journalism, the realities of journalists’ exposure to trauma while reporting have been well documented. This article is the first to link those areas of research – suggesting that mindfulness-based meditation offers promise to help journalists build resilience to post-traumatic stress. It also presents a conceptual map to theorise the broader potential benefits of journalists using mindfulness-based meditation, including help with industry-related stresses such as job insecurity, coping with emotions and battling potential ‘moral injury’ in reporting. It explains that pedagogical approaches for equipping journalists with mechanisms for working with their emotions, thoughts and professional values have been lacking. Some media organisations and universities have experimented with meditation practice for a range of reported reasons, but evidence-based research into the efficacy of such programmes for journalists is overdue. This article bridges the knowledge gap that brings together mindfulness-based meditation practice, journalists’ resilience and well-being, and the potential for enhanced work practice. I spoke last week at the Professional Futures Conference at the Queensland Conservatorium, Griffith University, on my approach to using mindfulness in media law classes. Mindfulness can be defined and adopted in many ways in the teaching of media law. This paper outlines the basic principles and explains the likely benefits for participants in learning, teaching and research, detailing some of the key research underpinning the field and offering some examples of its application in media law. The author explains his applications of mindful reflective practice in both his leading media law textbook and in his media law course, which offers the potential to strengthen graduates’ resilience, deepen their learning, and shore up their moral compasses as they enter occupations where their work can expose them to trauma and the industry disruption can subject them to stress, burnout and other mental health challenges. More than 200 new media law students embark on our seven week summer intensive course next week, so I thought it timely to reflect upon what might be gained from studying media law. About two thirds will be attending classes in person, while the balance will be undertaking the course online. The cohort is almost evenly divided between journalism, law and communication students, with a few others taking it as an elective. Identifying and assessing risks in publishing is the new digital literacy. Traditionally only journalists and some lawyers really needed to know about media law, but now every citizen must know the risks of publishing because we are all now publishers as we post to social media, send emails and release our blogs, videos, films, games, software and images. 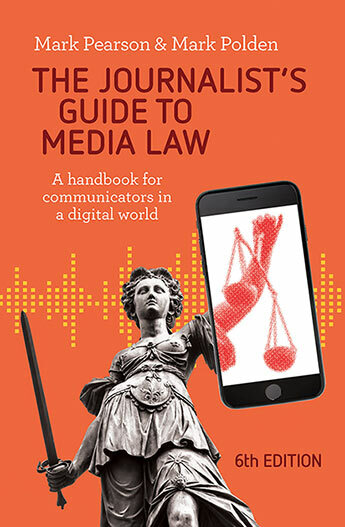 Many areas of the law coalesce in ‘media law’, making it an excellent introduction to the legal system for journalists and public relations practitioners and a fertile field of revision and practice for law students. Media law presents a wonderful opportunity to explore the many competing rights and interests in society as the rights to free expression, information, and a free media compete with other important rights including reputation, a fair trial, privacy, confidentiality, intellectual property and national security, along with the right to be free from discrimination in all its forms. It affords us a superb showcase of the role of the news media in the varied political systems internationally as governments select different points where free expression should be curtailed. You learn that free expression is a continuum, with fewer restrictions in some nations and alarming censorship in others. International students get to compare Australia’s media laws with those in their home countries. Just as truth might be shackled by some governments and individuals, media law offers insights into so-called ‘fake news’ and ‘false news’ by demonstrating how fair and accurate reporting and publications can earn special protections and how ethical research and reporting can be rewarded by the courts. Media law cases are often fascinating portrayals of human foibles, egos and temptations and sometimes have elements of the Shakespearean tragedy where good reporting exposes the abuse of power. The laws and examples encourage the exercise of mindfulness in communication practice. A few moments spent reflecting upon risk and harm before publication might save you many dollars in fines or damages and perhaps even time in jail. Also, many a media law case could have been avoided by a simple utterance of the word ‘sorry’ and a heart-felt offer of amends (both on legal advice!). Problem-based media law learning offers a vivid insight into how a prickly legal situation might arise, and helps you navigate a course of action after assessing the legal risks. Robust and truthful journalism can still be produced within the bounds of the law, in some countries at least. Media law cases and reforms are in the news on a regular basis, adding relevance and topicality to your studies as you watch cases involving real people contested in the courts and covered in the news media. Finally, you learn that all laws can be improved, so you engage with the continuous process of media law reform. You learn about the reform process, access historical reform recommendations in your research, and have the opportunity to recommend your own reforms in areas of your interest. You are even encouraged to make submissions to current law reform commission and parliamentary inquiries. Every new development in Internet and social media communication renders countless new people ‘publishers’ – exposed to risky media law situations they might never have anticipated. Advances in communication technology in this new millennium have redefined the ways in which most of us share news and information. Industry upheaval and technological disruption have prompted many journalists to retool as bloggers, public relations consultants, multimedia producers and social media editors. These roles add exciting new dimensions to journalism and strategic communications—including conversations and engagement with audiences and instant global publishing at the press of a button. But they also present new legal risks that most professional communicators – and even ordinary citizens – did not envisage in the twentieth century. The changes have been so profound that they have impacted the ways we live and organise our lives and work practices. It is only when we review some of the milestones of the internet and Web 2.0, together with the legal and regulatory changes they have prompted, that we start to appreciate the need for all professional communicators to be knowledgeable about media law. While the worldwide connection of computers, giving rise to the phenomenon we know as the internet, dates back to the early 1980s, it did not start to impact the lives of ordinary citizens until the mid-1990s. Melbourne’s Age newspaper became one of the first in the world to offer an online edition in 1995 (van Niekerk, 2005). Over the ensuing years, entrepreneurs started to embrace the commercial potential of the World Wide Web, just as consumers began to use it to source products and services, and students began to engage with it as an educational tool—predominantly from their desktop computers. By the end of 2016, there were approximately 13.5 million internet subscribers in Australia (ABS, 2017). It was not until August 2003 that the first major social networking platform, MySpace, was launched in California. It was the leading social networking site in the world from 2005 until 2008, when it was surpassed in popularity by Facebook, which by 2017 had almost two billion monthly users, including 15 million in Australia (Media Watch, 2017). In the six months to June 2016, 93 per cent of internet users aged 18 to 24 used social networking sites (ACMA, 2016: 58). Streaming of entertainment and news has also become part of daily life. In June 2016, 39 per cent of Australian adults had watched Netflix in the previous seven days, while 27 per cent had watched professional content on YouTube and 16 per cent had viewed the pay television service Foxtel (ACMA, 2016: 82). In the United States by 2017, six out of ten young adults were primarily using online streaming to watch television (Rainie, 2017). Associated with this was the remarkable uptake of the mobile telephone and other devices. The iPhone was only launched in 2007, but by 2016 more than three-quarters of Australians owned a smartphone (ACMA, 2016: 18). The iPad was born in mid-2010 into a market segment that many experts thought did not exist, but by 2016 more than half of Australians used or owned a tablet device (ACMA, 2016: 55). Even more technologies are unfolding rapidly, with implications for both the media and the law, with the increasing use of drone devices for news-gathering purposes and the awe-inspiring Internet of Things (IoT), where everyday devices are all interconnected, offering novel news-gathering and delivery systems for the media but also complex legal ramifications—particularly in the realm of privacy and security law. Governments, courts and other regulators have been forced to decide on the various rights and interests affected by these new media forms, and some of their decisions have taken private enterprise by surprise. It is a far more difficult task, however, to educate the broader community about social media legal risks. The core message is that we are all publishers in the eyes of the law when we publish a blog or post to a social media platform, and in that role all citizens are subject to the same laws that have affected journalists and publishers for centuries. 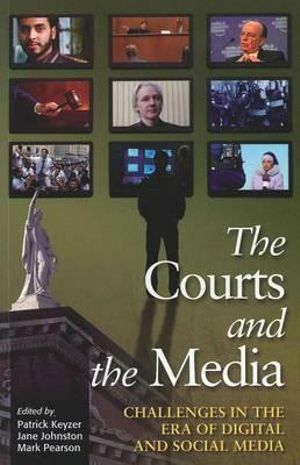 Further, the instantaneous and global nature of the media means that we may also be the subject of foreign laws of countries other than Australia—particularly if we work for a multinational corporation, or choose to travel to, or have had material we wrote downloaded in, a place where our posts might have broken the law or infringed upon someone’s rights. These laws include defamation, contempt of court, intellectual property, confidentiality, privacy, discrimination and national security. All this makes a strong argument for greater social media literacy among professional communicators and the wider community. Australian Associated Press (AAP) 2017, ‘Changes to media ownership laws’, SBS, 14 September, <www.sbs.com.au/news/article/2017/09/14/changes-media-ownership-laws>. Australian Bureau of Statistics] 2017, Internet Activity, Australia, December 2016, cat. no. 8153, ABS, Canberra, <www.abs.gov.au/ausstats/abs@.nsf/mf/8153.0>. Australian Communications and Media Authority] 2016, Communications Report 2015–2016. ACMA, Sydney, <www.acma.gov.au/theACMA/Library/researchacma/Research-reports/communications-report-2015-16>. van Niekerk, M. 2005, ‘Online to the future’, The Age, 28 January, <www.theage.com.au/news/National/Online-to-the-future/2005/01/27/1106415726255.html>. Journalism education colleague at the University of Tennessee, Melanie Faizer, has had a second article on mindful journalism published – this time in the leading media-technology outlet MediaShift. In it she profiles a fascinating experiment at Ryerson University’s School of Journalism in Toronto where a course in mindful meditation and journalism is being launched in January. Practicing mindfulness may help journalists better withstand the unrelenting stresses of the job. …And although mindfulness can help reduce human suffering, Ryerson’s mission is really about creating a methodology for young journalists that helps them resist falling into the storytelling traps of negativity and sensationalism. Faizer’s first article on the topic appeared in Columbia Journalism Review and can be viewed here. 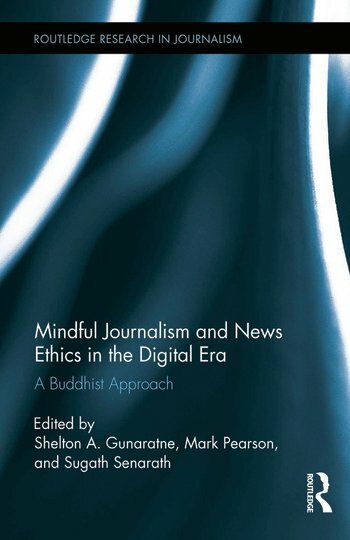 Our book Mindful Journalism and News Ethics in the Digital Era: A Buddhist Approach (Shelton Gunaratne, Mark Pearson and Sugath Senarath eds; Routledge, NY, 2015) explored the possibilities of applying mindfulness techniques to journalism practice. I penned an article on the “Right Speech” aspect of mindful journalism for the International Communication Gazette titled ‘Enlightening communication analysis in Asia-Pacific: Media studies, ethics and law using a Buddhist perspective’. Its abstract and link to the full article is available here. The article backgrounds important critiques of the Western approach to communication studies, and considers how globalized communication and media studies has become, before exemplifying how a secular Buddhist perspective might offer 2,500 year-old analytical tools that can assist with media analysis, law and ethics. I’ve also written a shorter account of the basic principles of mindful journalism in the journal Ethical Space: The International Journal of Communication Ethics, and the editors have been kind enough to make that article available for free viewing as a feature item on their website here. You might also want to explore some of their other fascinating articles on media ethics here and perhaps subscribe. The News Reporting and Emotions conference was held at the University of Adelaide last week (September 4-6 2017) and I presented a paper titled “A ‘Mindful Journalism’ Approach to News and Emotion”. Here is the abstract, along with the audio and Powerpoint slides for the presentation if you are interested. #Newsemo Mark Pearson @JournLaw explaining a mindful approach to journalism. Need to be able to 'pause and reflect during action'. Awareness of – and systematic reflection upon – emotions in the news enterprise can be beneficial for all stakeholders – including journalists, their sources and their audiences. ‘Mindful journalism’ is a secular application of foundational Buddhist ethical principles to the news research and reporting process, where journalists are encouraged to engage in purposive reflection upon a range of factors that might influence their story selection, angle, language and behaviour. The approach is premised upon Buddhism’s Four Noble Truths and Noble Eightfold Path, invoking journalists to invest time and meditative effort to consider their intent, actions and communications when planning and pursuing a story; to reflect upon how it sits with their conception of their livelihood; and how it might use wisdom and compassion to minimise suffering and acknowledge interdependence. Such reflection upon the emotional implications of a work of journalism might take the form of a timetabled session of meditation (self or guided) or (in acknowledgment of the pressures of time and resources) as little as a mini ‘reflection-in-action’ – a pause for a few breaths to check in to the journalist’s own emotional state and the potential impact on the emotions of others. This paper positions this emotional reflection and calibration in the body of the author’s recent work on mindful journalism, including a co-authored book and several journal articles and suggests that, while journalists might not be expected to adopt the lotus position in the news room, a systemised routine of reflection upon their ethics and practices might improve the calibre of their work and minimise the suffering it might otherwise inflict upon themselves and others. How reliable are world press freedom indices?